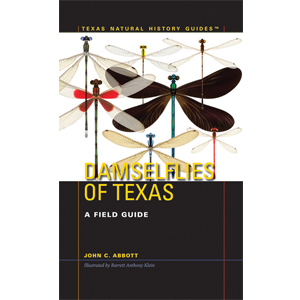 A field guide for the Damselflies of Texas. 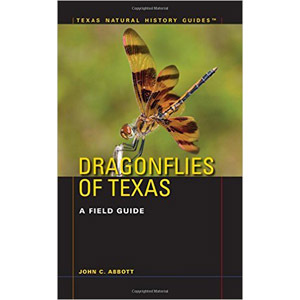 The artwork in this book is outstanding and help you ID dragonflies with binoculars or from your photo’s or simply in your back yard. Hope you enjoy! On any warm summer day, you can easily observe damselflies around a vegetated pond or the rocks along the banks of a stream. Like the more familiar dragonfly, damselflies are among the most remarkably distinctive insects in their appearance and biology, and they have become one of the most popular creatures sought by avocational naturalists. In addition to photographing damselflies in the wild, the author and illustrator have developed a new process for illustrating each species by scanning preserved specimens and digitally painting them. The resulting illustrations show detail that is not visible in photographs. 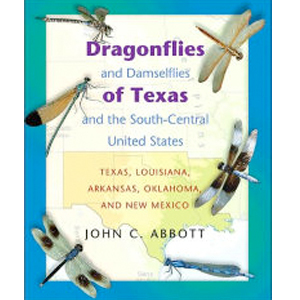 The book also contains chapters on damselfly anatomy, life history, conservation, names, and photography, as well as a list of species that may eventually be discovered in Texas, state and global conservation rankings, seasonality of all species in chronological order, and additional resources and publications on the identification of damselflies.